These cute little rock cakes are perfect for those moment. They’re made with ground almonds which makes them high in protein and they don’t contain any butter which means they’re lower in saturated fat than your standard rock cake recipe. If you fancy doing some baking today, give these a go! 1. Preheat the oven to 220’c. 2. Sieve the flour, and add it into a bowl containing the ground almonds, baking powder and ginger. 3. Add in the cranberries and the sugar and give it a good ol’ mix! 4. In a separate bowl, whisk the 2 eggs. 5. Add the eggs to the other ingredients and stir well until you have a sticky consistency. 6. Plop little dollops of the mixture onto a baking tray lined with greaseproof paper (mixture should make 12). 7. If desired, you can add a little drizzle of honey to the top of each cake. It adds a little sweetness and helps the cake crisp up a bit. 8. Pop into the oven and cook for around 30 minutes until the cakes are golden in colour. 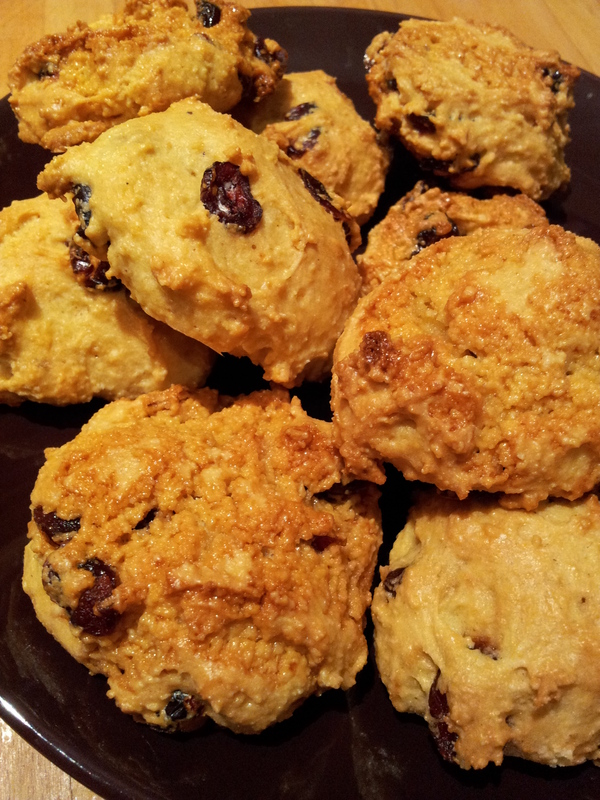 The nutritional data below is per portion based on the above yielding 12 rock cakes.